Well, the 2009 Dental Volunteer Programme team met in the cathedral-like splendour of Terminal 5 this afternoon. Being Deputy Clinical Lead (no need to curtsy) this time, Liz got there early to welcome all of the other members of the team. Some had been before and knew each other whilst others were new to Bridge2Aid and clearly quite nervous. 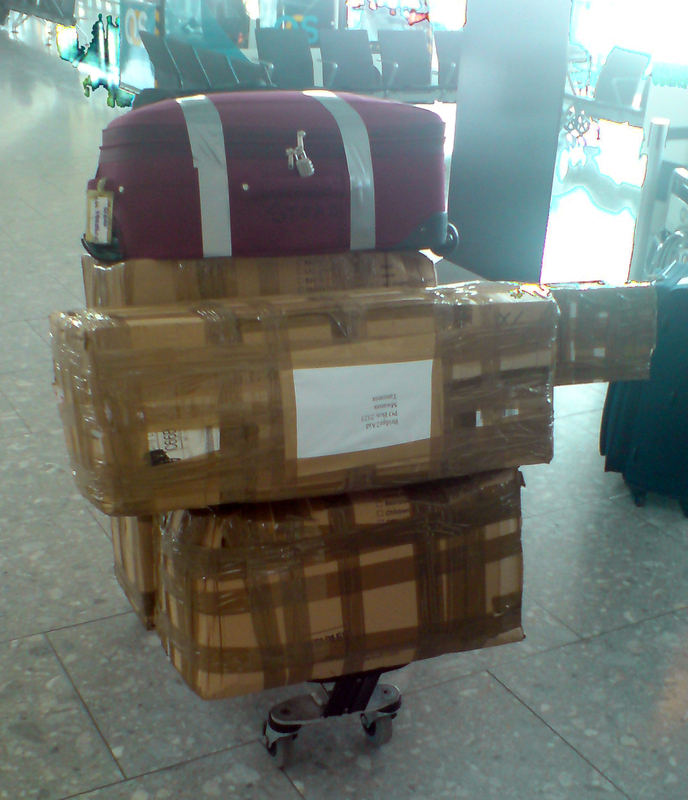 The equipment (see photo below) arrived which they are taking with them as part of their luggage. 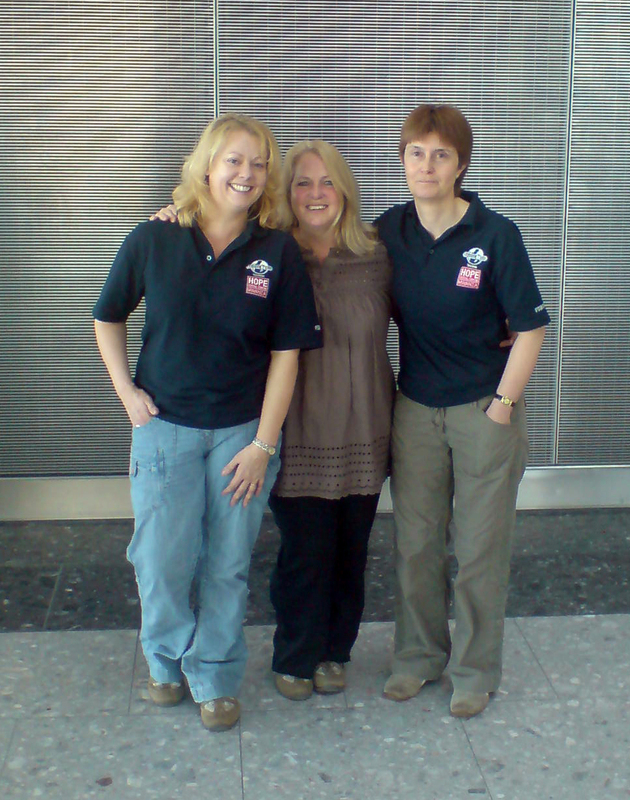 Liz and Tracey were already wearing their Bridge2Aid T-shirts from last year but new ones with DVP 09 were given out. They all fly together to Dar es Salaam (flight took off 3 mins early at 18.22) and then, after a few hours stop-over in the heat and humidity of that airport, they fly up to Mwanza on Lake Victoria, courtesy of Precision Air. Once there they have a day's orientation before getting down to business. Regular readers will recall that, last year, Liz, Su and Tracey were part of the 'remote' team, based about 100 miles from Mwanza. 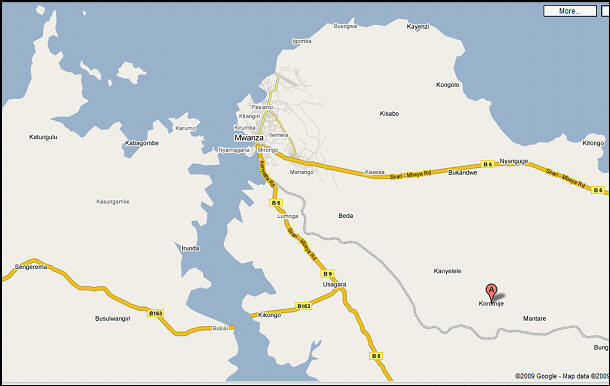 This year they are going to stay in Mwanza but travel out each day for about an hour to a clinic in a remote village. Many thanks to anyone who donated money to help fund their trip this year. As of Saturday morning the girls were just £100 off the total required, a fact that had not been revealed. Amazingly, a cheque for £100 arrived in our post in the morning from someone who had absolutely no idea about the level of funding! Plane landed early at 06.26 (scheduled 07.00). Flight out was uneventful, if a bit bumpy (Liz reported that she hardly slept at all). Dar was really hot and steamy but they managed to get on the flight at about 11.30 and flew up to Mwanza (about a 2 hour flight). It was raining in Mwanza but stopped after they had arrived and is nowhere near as humid as Dar. They checked into the Vizano Hotel (see http://www.vizanohotel.com/ ) where the 'non-remote' team will be staying for the two weeks. The others set off for the Stopover Lodge (see http://www.serengetistopover.com/ ) tomorrow after the orientation session. I caught up with Liz by phone at the Tilapia Restaurant (see http://www.hoteltilapia.com/ ) where they were all meeting up with the Bridge2Aid staff who are resident in Tanzania and with this year's cadre of Regional Clinical Officers. As last year, Liz was busy watching hundreds of Brahminy kites wheeling overhead and the pied kingfishers hovering before diving into the lake (the kingfishers - not Liz). The charity very wisely ensures that the volunteers are gradually familiarised with the climate and culture, rather than starting with the training immediately as they are bound to suffer from culture shock to some degree. They all start very early tomorrow and are looking forward to a good night's sleep. Local time is 3 hours ahead and they are all very tired from the journey. Later in the evening she sent me an email with an update. This is an important development as it means that she has been able to access her Virgin account and that we are not reliant upon often difficult (and expensive) telephone connections. She has a small room at the hotel but at least it has aircon and so she is no longer looking to change rooms tomorrow. I was working at my PC at about 4 o'clock when Outlook advised me that I had an incoming mesage from Liz in Mwanza. Apparently the orientation day went well and the 'remote' team have now set off for the Stopover Lodge, where they will be based for the next two weeks. Since Bridge2Aid started, they have now trained 70 Regional Clinical Officers (RCOs), who are already providing (amongst other medical services) dental care to about 800,000 patients. Bridge2Aid have now revised their figures, based on more extensive reasearch, and they now calculate that the ratio of dentists to patients is approximately 800,000:1 in rural areas, where the average daily wage is about 51p (less than the cost of a KitKat in the UK ... I am reliably advised!). 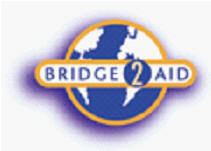 As well as providing dental training, Bridge2Aid also runs a Care Centre in Bukumbi (see http://www.bridge2aid.org/cm/general/social ). The first two boys to be educated at Bukumbi, as part of this programme, are now attending secondary school, which is obviously a great success. On a lighter note, Liz mentioned that she had failed to point out that the highlight of her trip out there was that she saw Bamber Gascoigne at Dar airport. That reminds me that it is the final of University Challenge tonight. There's no stopping her now that she has got the hang of email! I received another email from Liz at 22.30 local time. They had just been out to an Indian meal at a hotel next to the Hope Dental Clinic (the permanent clinic run by Bridge2Aid). Everyone in the team seems to be good company and so Liz thinks they will get on fine. She and Kiaran (the lead dentist) have a lot of paperwork to sort out before they meet the RCOs tomorrow. Liz handed over the MANU scarf that she had taken with her to one of the local staff, who is a real fan. Excellent choice of team to support! "The journey to the clinic was like a National Geographic article. The rock formations are very beautiful, I keep expecting to see Simba and Nala (from The Lion King). We passed quite a few schools en route"
The 'clinic' is a single-roomed building with one area set aside for sterilisation (bottled, not running, water!). Su, Tracey and the other nurse are responsible for getting everything ready and are getting on fine as a team. It took them a long time to set up today as everything was new to them. The Clinical Officer currently assigned to Liz today (they rotate during the week) is called Julius and he lives and works at Bukumbi (see yesterday's blog entry) and has polio himself. Liz said it is quite humbling to think that here is someone who is disabled himself - with a wizened leg - who treats lepers at Bukumbi. All of the RCOs are enthusiastic and keen to learn. The cheeky boys from the local school keep peering in through the window. They treated about 55 patients today and the number is expected to increase as the week goes on. The toilet arrangements at the clinic were described as 'basic, but clean'; essentially two holes in the ground but at least with walls around them! They were just about to go out for dinner. There may be an email update later on but it takes forever to get onto the internet. We have forgotten the days of watching screens build up, packet by packet. Later in the evening she did send through an email but she was plagued first by a power-cut and then by a lost signal. Tomorrow the Commonwealth Dental Conference visits the clinic to see them at work. The critical decision for Liz is what music to have playing on her iPod + speaker. She has decided against Wham! She will be training Renatus, another Clinical Officer. She likened the lady CO to Mama Ramotswe from the No.1 Ladies Detective Agency series as being 'of traditional build'. Frustrated by the 30 minutes that it took just to retrieve the email that I had sent her, Liz phoned me and I phoned her back for an update. Today was particularly hectic as they saw 82 patients, whilst being visited by the people from the dental conference. Ian Wilson, the guy who started Bridge2Aid and who lives in Mwanza, is hosting representatives from various Commonwealth countries at the Tilapia Hotel in Mwanza. The idea is to show them how he built up the charity so that they can consider whether that approach would be viable in their own country. Liz got talking to some dentists from Sri Lanka, whilst she trained up Renatus, who today was allowed to 'progress' to taking out teeth. She got the impression that the visitors were genuinely impressed with what was being achieved. On the way there they pass beautifually maintained villages with churches and stalls by the roadside. Some of the goatherds appear to be no more than six years old! Of particular note to the dentists are all of the houses that are painted (gratis) in the colours of Coca Cola or Pepsi, each of which have a huge factory on the outskirts of Mwanza. Apparently the Tanzanian government had to step in as Coca Cola were charging more for their bottled water, Dasani, than they were for Coke, with a corresponding impact on the nation's teeth. On a positive note, Liz said that she has not seen one person smoking since she arrived in Tanzania. This is good news as there had been a trend to sell single sticks, as the programme with Duncan Bannatyne showed. Renatus pointed out to Liz that the word 'Stringer', in Kiswahili, is a sort of weedlike vegetable, which grows in the fields and clogs up all of the crops. Needless to say this was the cause of much mirth amongst the team. Liz complained about the fact that she is woken up every morning by the call to prayer from the muezzin in the local mosque in Mwanza. 05.15 is a tad eraly to be woken up if you have been treating patients in the middle of nowhere all of the previous day! Tonight they visited the Tai Five Hotel for dinner (see http://taifive.com/ ). Not having the benefit of the internet, which took me all of 5 seconds to locate the website, they thought it was typo for a Thai restaurant. Indeed Liz ordered coconut chicken but was surprised when this had no coconut in it! Tomorrow they have to ensure that they treat all of the patients at Koromije as they move on to Misasi the following day and, at the end of Friday, have a 5 hour trip by land rover to get to a lodge in the Serengeti for the weekend. Someone telephoned me this afternoon to point out that there is a programme about the Serengeti on BBC 1 tonight. Managed to get through to Liz just after they had finished dinner which they were having at the hotel they are staying at. This turned out to be a better option than yesterday and the service was better (the food only took 45 minutes to come). Liz was training Samwel today, who is younger than the others but up to the mark. They saw 120+ patients today! There was a long queue there when they arrived and, as they move to another clinic tomorrow, they felt that they had to see everyone as some patients had trekked for hours just to be seen. They had to set up a sort of conveyor belt system, taking medical histories (all too often involving HIV) and then one of them acting as anaesthetist as so many of them involve extractions. Even the Regional Dental Officer, who normally overssees the training, had to muck in and pull teeth. There were loads of schoolkids hanging about at the end as they packed up their equipment and they had great fun with a bubble machine (the kids, not the dentists!). Temperature was higher today and working under the corrugated iron roof is very tiring. Liz was just about to tell me about the long haul tomorrow and when best to contact her when ...... the signal cut out and I have not been able to get back in touch since. Tracey's mobile is also unobtainable and so it's probably a recurrence of yesterday's power cut. The mystery of the loss of contact yesterday has been solved (I think). I contacted T-Mobile today to find out that Liz only has the minimum of 1 penny credit left on her pay-as-you-go mobile account. I have topped this up today and will see if this works. Liz put a hefty balance on the phone before she left but I see, from T-Mobile's site, that just receiving a call in Tanzania is £1.30 per minute! May have to resort to email. I cannot even get through on Tracey's phone which is a contract account and so the chances are that they are well on the way to their weekend stay in the middle of the Serengeti National Park. They are staying (at their own expense, it should be stressed) at the Kijereshi Tented Camp (see http://www.kijereshiserengeti.com/ ). Liz has my camera with her again and is looking forward to the relaxation. I use the word 'relaxation' loosely as the regime there is to get up at 05.30 and be off in the jeeps by 06.00 to watch all of the wildlife get up. They then stay in the jeeps all day, stopping off at varipus wildlife 'hotspots' like the hippo pool and lunch at the Visitors' Centre. In all they travel about 400 km on the Saturday and just the morning on the Sunday. No news from Tanzania today but this was not unexpected. I note that Ronan Keating almost missed his connection at Heathrow on his way out to Tanzania and had to be driven across the tarmac to the waiting plane. Together with various other 'celebrities' he is taking part in a challenge to walk up Mount Kilimanjaro for Comic Relief. Whilst it is not a climb, as such, it is, apparently pretty hard going as it is over 19,000 feet high. Got through to Liz on her return from the Serengeti. Friday, at the new clinic in Misasi had been quite hectic. Liz was training the female Clinical Officer, Julieth. Apparently her 'traditional build' is partly attribibutable to the fact that she is pregnant! She already has 3 kids and Liz is full of respect for her. They saw a little boy who had snapped off half of his tooth over a year ago and had suffered ever since. The clinic comprises two rooms, one of which is used by the nurses to sterilise the equipment. After they left on Friday, one of the rooms reverted to being a hospital room, complete with beds which had been outside whilst they were there. They packed up at 14.30 on Friday and drove back via Mwanza. On the way to the Serengeti they stopped off at Speke Bay (see http://www.spekebay.com/ ) to drop off some of the team who were staying there for the weekend. This is a nice hotel, on Lake Victoria, but swimming is discouraged because of the crocodiles! In the Serengeti, Liz had seen 2 male lions with females, stalking a zebra. They then saw the cubs of the pride and the whole group crossed the track in front of the jeep. Bird life included lilac-breasted rollers (our favourite -0 see below), goliath herons, hammerkops and hornbills. She said that the ostriches and secretary birds are particularly weird. Apparently it is the giraffe mating season at the moment. The only negative was that the driver yesterday could not speak English which was hopeless; Liz had to pass around the various wildlife books that she had taken with her. Later in the evening she managed to sign onto email in 10 minutes (a record!). She is immediately above the bar and was glad that the noise from below (TV coverage of MANU's glorious Carling Cup victory over Spurs) had finally abated; odd to think of people over there watching the penalty shoot-out. She commented on the Armani shop in Mwanza, which is little more than a shack. Julius Armani must be a little-know second cousin of Giorgio! Will not hear from Liz until later in the day but you may be interested to read this article from the BBC website today which covers the plight of albinos in Tanzania. Regular readers of this blog will recall that the charity with which the team have gone to Tanzania, Bridge2Aid, runs a sheltered community at Bukumbi, where albinos can live in relative safety. Caught up with Liz later on in the shower (I'm sure I could have phrased that better!). She had just come back from a physically and emotionally exhausting day. Samwel, the RCO that she had been training on Thursday of last week, called in to say that his 16 year-old son had died yesterday. The cause is unknown and so there will have to be a post mortem. This is balanced by the fact that one of the British dentists, Denise, is not well. Whilst the malaria tablets they are taking appear to be effective, they have all suffered (whilst in the Serengeti) from tsetse fly bites. Liz said she was not even aware of being bitten. We steered clear of talk about sleeping sickness! All of this has made her quite tearful as, until today, she had not really had too much time to think about the death of her own mother just 6 weeks ago. I'm sure that she would have been as proud as I am of what Liz is doing. On a lighter note, I was interested to learn that names, such as Innocent, are given in memory of popes and thus one quite often comes across Pius, John Paul, etc. Today Liz had been training Justice; not sure thgat that is a papal name. Even though they were two down, they still treated 100+ patients today. Tomorrow there is an optional trip to see the work that Bridge2Aid is doing at Bukumbi (the village for lepers and albinos) but as Liz went last year, she will give it a miss as she wants to recover from her 30 tsetse fly bites and has a formal debrief in the afternoon in her role as deputy clinical lead. Ian Wilson, the founder of Bridge2Aid, advised them that the Commonwealth Dental Conference had gone well and that other countries may well follow the lead of Tanzania and Bridge2Aid. Apparently there was a delegate from Botswana, which we visited for our 25th Anniversary in 2007. There the ratio of population is much better, at 10,000:1. Knowing that I like the local colour bits for the blog, Liz proudly advised me that she had been poohed on from a great height by a Brahminy kite; not many people can say that! Every day they pass a group of women at the roadside with Singer sewing machines (the treadle type) making and repairing clothes. She may get to the computer later this evening, after they return from their Chinese meal on the shores of Lake Victoria. No promises, though, as it was taking others 45 mins yesterday to get onto the internet. Caught up with them as they were buying batik items, bookmarks, etc. to bring home. As last year, the charity invites various local craftsmen to meet with the team and sell their wares, cutting out the middleman. The only problem was that they were being plagued by swarms of flies off the lake! Su, Liz and Tracey stayed in Mwanza today whilst all of the 'first timers' went down to Bukumbi to see the work that Bridge2Aid is doing; they also saw where Julius lives (see entry for 24 February). Apparently things have changed a lot down there since last year and a number of the people now have jobs. Over the two weeks the two teams have seen 800 patients and all are feeling pretty exhausted. The good news, though, is that they are at least not feeling ill, which is an improvement on yesterday. Tomorrow they fly back from Mwanza to Dar and stay the night at a nice hotel in the capital, before catching the day flight back to Heathrow on Friday (scheduled to arrive at 17.10). Liz sent me an email from the reception in their hotel as the business centre is closed for repairs. I am sure that it must have been refreshing not to have to wait for ages to get onto the internet via dial-up. Hotel is nice and they are all off for a swim later before going off for dinner to the Kempinski Hotel (where they stayed last year). I spoke to Liz later today when i telephoned her from Regents Park (ah, the power of modern communications). They are all now getting over their stomach aches and attributed it to a dodgy meal. 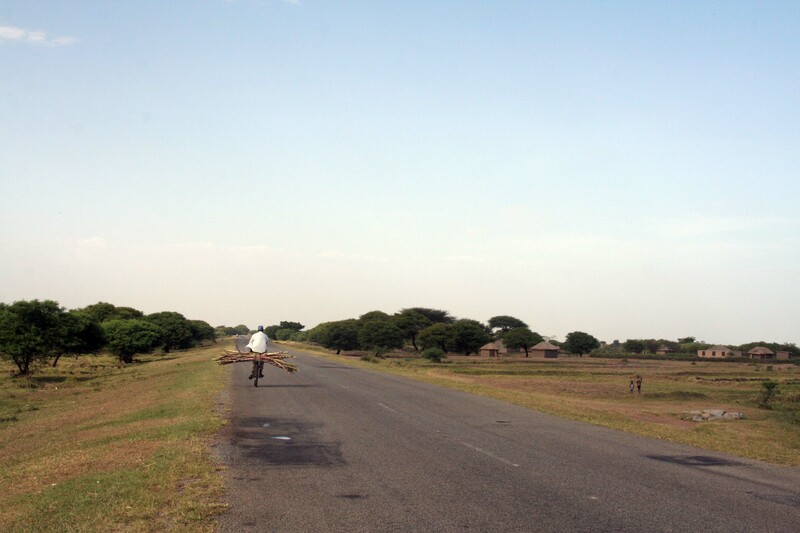 The trip in from the airport had taken an hour and Liz said that the blatant poverty in the capital (beggars on each street corner) makes the rural areas appear positively affluent. They are looking forward to getting home but not to the 10 hour flight. Plane appears to have set off on time as it is now due to arrive 25 minutes early at 16.45. Plane landed at 16.59 and the journey back around the M25 was mercifully smooth. Hi there, everyone. Glad to be back but we've had a great time. Have started to catch up on important things that I've missed, such as the University Challenge final that wasn't. ER, QI and 24 await me tomorrow! Many thanks for your support, in many ways, and for taking the time to read the blog; I understand that it has had quite a readership! ... YES, I do intend to go again next year.